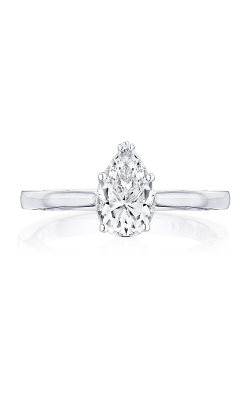 Sometimes referred to as the teardrop cut, pear shaped diamond rings are an exquisite take on the classic round and Marisque diamond cuts. Known for their unique shape, and incredible brilliance, pear shaped rings have dazzled people for centuries, reaching as far back as Europe in the 1500s. 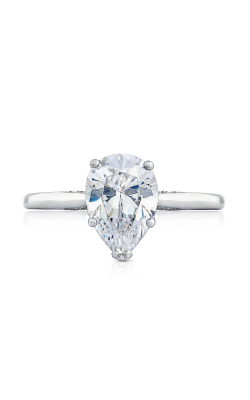 Pear shaped diamonds are rounded on one end and pointed at the other. This elongated shape plays with ambient light in fantastic ways creating a radiance that is difficult to find in different diamond cut variates. 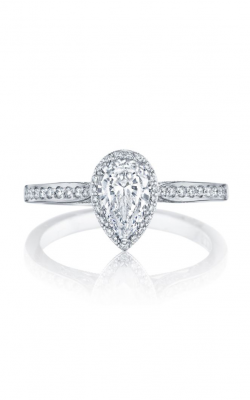 The passionate staff Rumanoff’s Fine Jewelry in Hamden, Connecticut, have long recognized the brilliance of the pear-shaped ring and have many options to choose from in their fully stocked showroom. 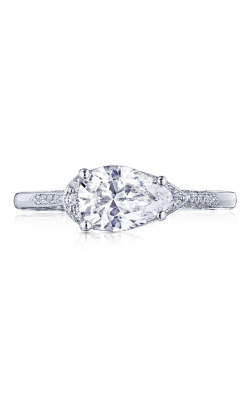 Rumanoff’s Fine Jewelry has four generations of excellence in the jewelry industry, and as such have multiple pear-shaped diamond ring collections to choose from. One popular choice comes from the superb New York designers at Fana. Known as the Fana Classic Engagement Ring Collection, these stunning jewelry pieces are loved for their beautiful center pear-shaped diamond, and the accompanying diamond stones. Fitted in a platinum ring, and with multiple carat options, there is a reason why Fana’s Classic Engagement Ring Collection is a crowd favorite. 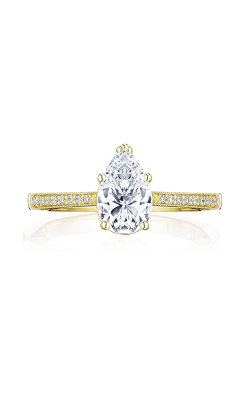 Sylvie’s Halo Engagement Ring Collection is also a gorgeous selection that can be found at Rumanoff’s Fine Jewelry. The pear-shaped rings in this collection are intended to take your breath away, with their pear-shaped diamond centerpiece and supporting gemstones. 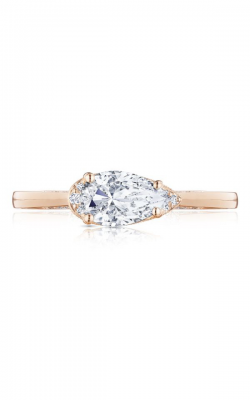 However, Sylvie also breaks the mold with their unique yet genuinely brilliant design choices creating something entirely new and unlike other pear shaped rings. 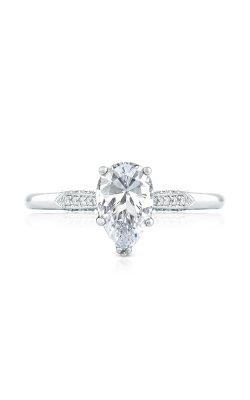 Based out of California, the designer Tacori brings unmatched quality design and fashion to pear shaped rings. Their Dantela Collection carries bands that are ready for your perfect pear shaped ring, with the pear surrounded in diamond in a halo style with diamonds also going along the band itself. 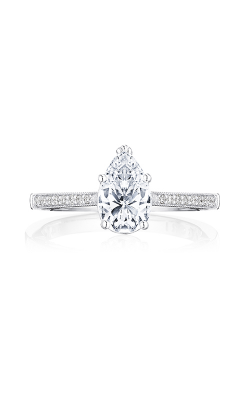 Simply Tacori elevates this with its simple solitaire halo ring, putting your diamond at the forefront. Why Choose Rumanoff’s Fine Jewelry? 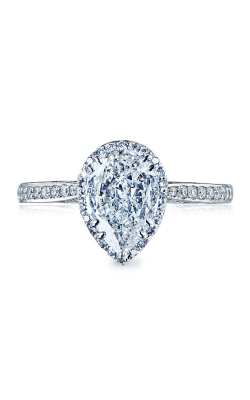 Rumanoff’s Fine Jewelry knows what it takes to craft a radiant pear-shaped diamond ring, and carries a wide selection in their Hamden showroom. Founded in 1938, Rumanoff’s has served customers of Hamden, New Haven, Northford, and Middlefield for four generations. 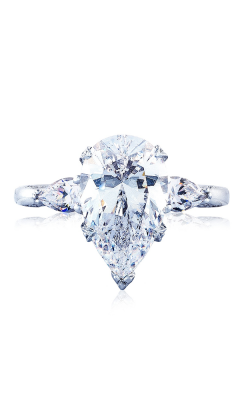 At Rumanoff’s visitors can find a staff of individuals committed and impassioned for fine jewelry. Customers can discover more than just beautiful jewelry pieces at Rumanoff’s as other services including jewelry repair, custom design, and engraving can be found at their Hamden location. Known for excellence, great value, and quality service, Rumanoff’s can provide you with the pear-shaped diamond ring of your dreams.